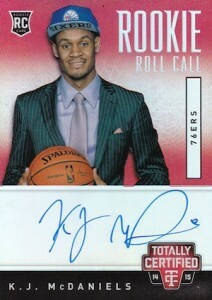 Fueling the most anticipation for basketball rookie collectors in recent memory, the 2014 NBA Draft class entered their inaugural season with much excitement and fanfare. While the early results were not as strong as expected, the final verdict may not come for many years. One sure thing is that the 2014-15 NBA rookie group is stacked with potential. 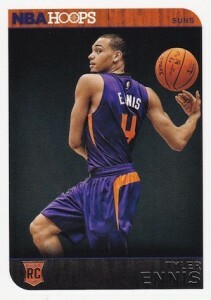 In addition to 2014-15 products, collectors have other places to obtain cards for the incoming rookie class. 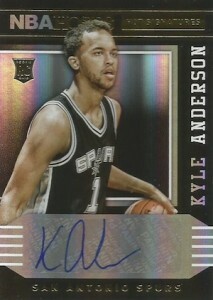 First, previous products, like 2013-14 Panini Signatures and 2013-14 Panini Intrigue, include redemption cards for players from the 2014 NBA Draft. 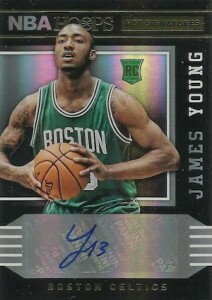 Also, various cards have been trickling out for the top players in other limited releases. 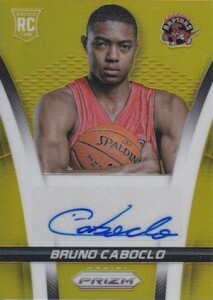 Several players have been previously featured on SI Kids cards. 2014 Topps Allen & Ginter Baseball brought the first autographs for Doug McDermott and Shabazz Napier, and Dante Exum was included in the 2014 Panini Father's Day set. 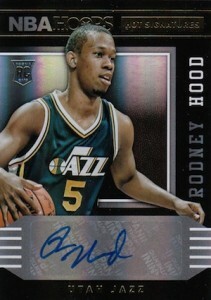 Also, several of the top picks were featured in a special Hoops promo giveaway at the 2014 NBA Summer League. Collectors can also find many early options from the 2014 National Convention in Cleveland, including wrapper redemption cards, the NSCC VIP set and VIP gold party packs, which featured autographs. Additionally, Leaf released a special five-card set for first-overall pick, Andrew Wiggins. 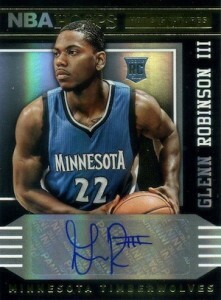 Limited Leaf autographed versions for Wiggins were also available. 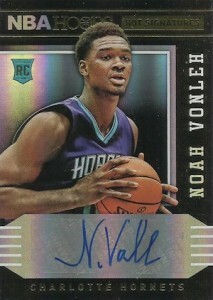 It is important to note that while Nerlens Noel has rookie cards in previous 2013-14 products, he will be recognized as an NBA rookie for 2014-15 since it will be his first season in the league after missing the entire year with a knee injury. Check out all the Nerlens Noel rookie options here. Bojan Bogdanovic is another player who was drafted in a previous season and is making good impressions in his rookie season. 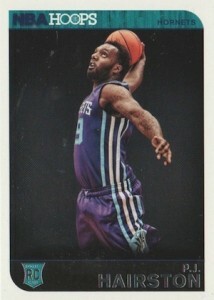 However, there are currently no cards available for the Brooklyn Nets' shooting guard. 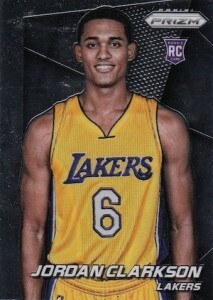 The list below features a detailed rank of the top ten 2014-15 NBA rookies for collectors, as well as a simple overview of the other notable rookie players on the tab above. Key injured players are also covered below the top ten list. 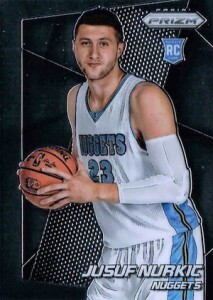 It is important to note that although some of these players will be included in basketball releases from other brands like Leaf or Upper Deck, several of the top rookies, including the first three picks, are exclusive to Panini products. After a tough start to his NBA career, including a trade that ended up taking a month to materialize, Andrew Wiggins is back on track to NBA greatness. His game is coming together nicely and he leads all rookies in points per game and minutes per game on a rebuilding Minnesota Timberwolves squad. 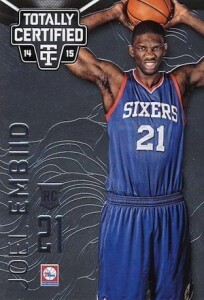 Wiggins is now the clear favorite for Rookie of the Year and remains the top option for collectors. 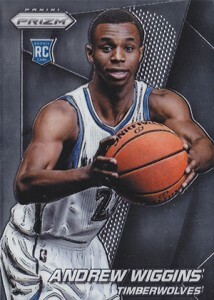 View a detailed look at all the Andrew Wiggins rookie cards here. 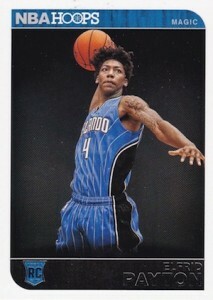 Another player that is blossoming on a bad team, Elfrid Payton looks to be the point guard of the future for the Orlando Magic. 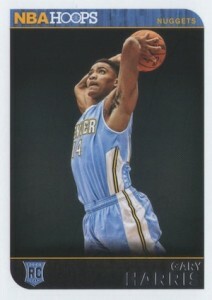 Scoring, facilitating and defense, Payton can do it all and collectors are not overlooking the dynamic Ragin' Cajun. One of the biggest surprises of the 2014-15 rookie class, Nikola Mirotic was originally drafted by the Houston Rockets in 2011, but was traded twice on draft night and ended up with the Chicago Bulls. 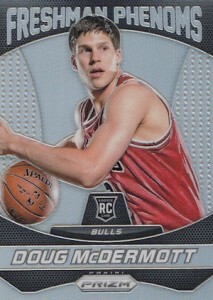 Mirotic remained with Real Madrid for a few more years before joining the Bulls in 2014-15. Although he put forth a strong start to his debut season, including an Eastern Conference Rookie of the Month award in December, Mirotic has struggled to find minutes on a seasoned Bulls' roster. Collectors are more limited as well and his autographs are only found in 2013-14 Exquisite and 2014-15 UD Letterman. Although Andrew Wiggins is still the top rookie in Minnesota, Zach LaVine is surging up and his minutes got a nice bump thanks to the Ricky Rubio injury. 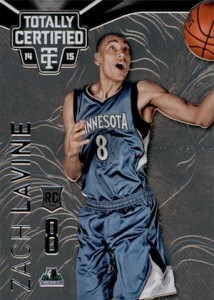 Once Rubio returns, LaVine will likely return to his backup role, but he has shown enough to excite collectors about the future. With Rajon Rondo gone, it appeared that Marcus Smart was about to inherit the starting point guard role, but that has not been the case so far. While Smart has still seen good minutes, his production has been uneven. 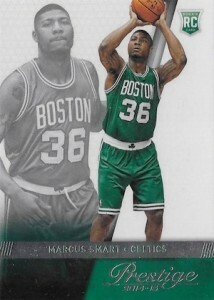 Nevertheless, the Celtics have a strong collecting base and Marcus Smart is one of the top overall rookies in the hobby. Arguably the best shooter in the rookie group, Doug McDermott's production has suffered as he has not received much playing time. Despite this, the Creighton grad is a player to keep a close eye on from a collecting perspective and his hobby interest remains strong. Shabazz Napier has seen highs and lows since he made his debut. Basically picked by LeBron James before he left Miami for Cleveland, Napier followed up a good December with a demotion to the D-League. 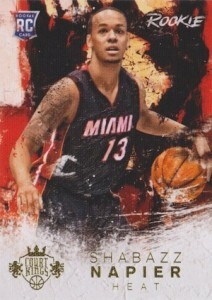 Now back with the Miami Heat, he has been productive with his minutes and collectors are taking notice. 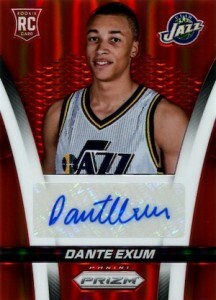 Although he was an early favorite for collectors, Dante Exum has had a disappointing rookie season thus far. However, his collecting market is still solid and many are hoping he can get things going in the second half of the year. While his rookie season has been plagued by inconsistency, K.J. 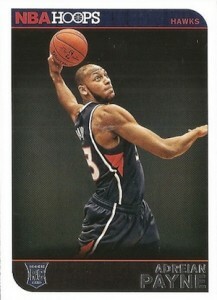 McDaniels looks to be one of the steals of the draft based on his overall athleticism and defensive intensity. Collecting interest has certainly picked up for the second-round pick. 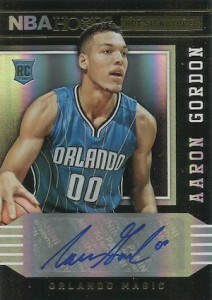 While the high pick insured that Aaron Gordon would get plenty of interest from collectors, many felt his transition would be slow. This was even more so the case after a foot injury kept him out for two months. 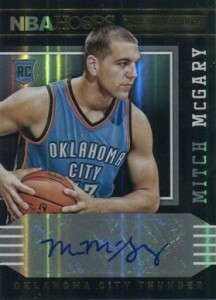 Still, the athletic forward remains popular with collectors. The early favorite for NBA Rookie of the Year, Jabari Parker still seemed like the frontrunner after November where he earned the Eastern Conference Rookie of the Month, but injury struck and his season is now over. 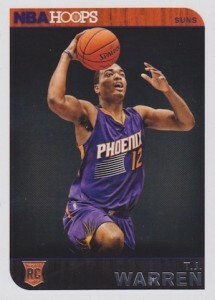 This has not deterred collectors and Parker is still one of the top rookie card options with the hope that he will return next year ready to build on his success. 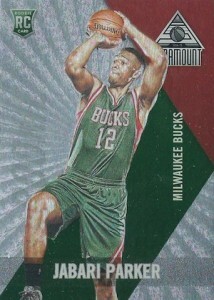 View a detailed look at all the Jabari Parker rookie cards here. Joel Embiid has already built a sizable following based on his enormous potential and humorous and occasionally bizarre Twitter interactions. Similar to his teammate Nerlens Noel, Embiid is expected to miss most of his first season and possibly all of it. Regardless, he will stay popular in the hobby during the year, but will likely not see substantial gains or losses until more is known about his availability. 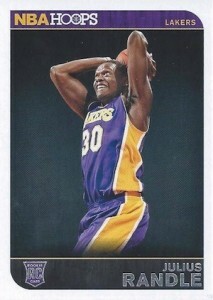 Another victim of the injury bug, Julius Randle did not make it through his first NBA game before tragedy struck. A broken leg and the surgery that followed has resulted in an early end to a promising rookie season. 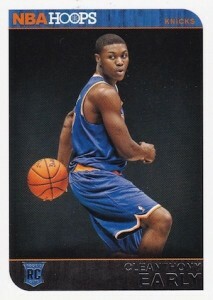 As a top pick for the Lakers from a prestigious basketball college, Julius Randle will remain on the hobby radar. 2014-15 SELECT C.J. 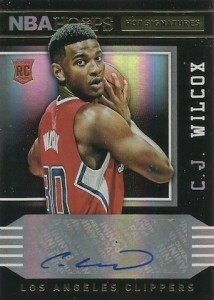 WILCOX ROOKIE SWATCHES GOLD JERSEY PATCH RC 1 60 FIRST MADE!